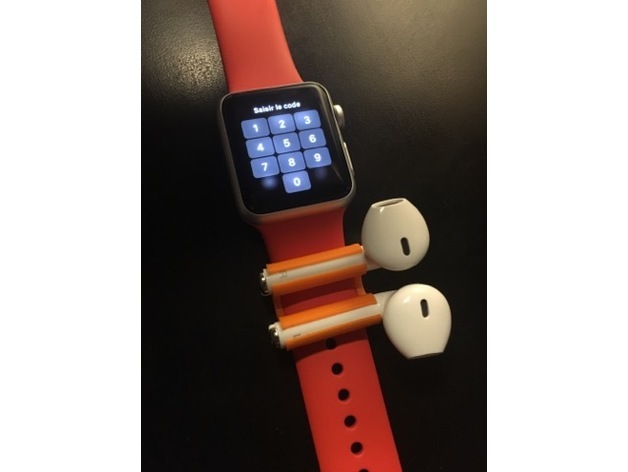 EarPod holder for Apple Watch #3DThursday #3DPrinting « Adafruit Industries – Makers, hackers, artists, designers and engineers! This is a remix for those who do not have the Airpods, but who bought the Padear Mini X1. I provide you with the SolidWorks file if you want to modify a rib.